Looking for a way to kick-start your career in fitness? Need something that will take your fitness career to the next level? Look no further than the canfitpro Vancouver Fitness Expo! 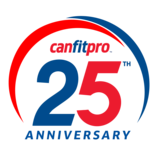 Celebrate 25 years of canfitpro at the Vancouver Fitness Expo. Choose sessions to lead by trailblazing fitness educators in personal training, group fitness, cycling, mind-body and nutrition. Attend CPR sessions, renew your membership and earn CECs required to maintain your canfitpro and BCRPA certifications! General Session with Emma Berry, an observer and catalyst, fluent in what's NEXT for fitness globally. Emma has inhaled senior roles with juggernaut Les Mills International and luxury-lifestyle brand Equinox. Emma is a prolific blogger and sought-after speaker and mentor who contributes to business, trends and women's forums. Emma delights in catapulting people towards their potential as you will experience in person.